There are many ways to discover Sicily. One is to follow the SOSTE DI ULISSE (the stop-overs of Ulysses). No better way to taste, savor and fully experience the great cuisine of some of the best and Michelin-starred chefs, the finest wines of the best Sicilian wineries and the proverbial hospitality of some of the best and most charming hotels on the Island, all associated under the name of “Soste di Ulisse”. It’s a guarantee for GOURMET ENJOYMENT, this is what we can say regarding the fabolous partners we got to know during the last years of our own personal travels (mostly during the 3 winter months December, January and February, when we close our own HOTEL VILLA SCHULER for refurbishments). 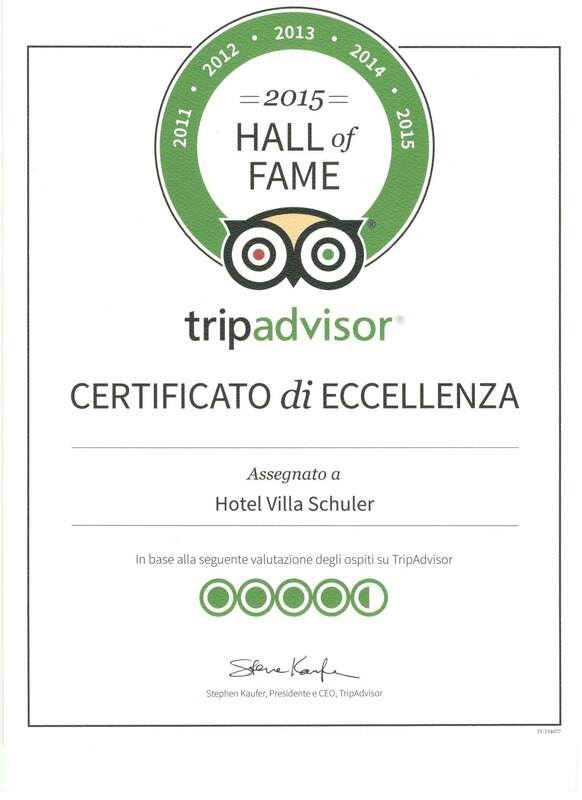 our HOTEL VILLA SCHULER, open since 1905 and now the oldest owner run hotel of the whole island of Sicily. A truly wonderful neighbourhood, which we enjoy ourselves and can only recommend to our Hotel guests! Just a 30 minutes‘ drive from Taormina, we have another wonderful hideaway, our co-member, the SHALAI RESORT, situated in the middle of the small charming Mt. ETNA town of LINGUAGLOSSA in a beautifully restored baroque Palazzo, owned and managed by the young and enthusiastic LUCIANO PENNISI, who is also vice president of “Soste di Ulisse”. The Shalai offers not only stylish rooms, but also a SPA and a restaurant headed by the Michelin star chef GIOVANNI SANTORO, who puts strong emphasis on local products and a modern interpretation of traditional Sicilian cuisine. Talking about the Mt. Etna region, which is indeed the nearest wine making region to Taormina, we must also mention the Soste di Ulisse partner wineries: BENANTI, FRANK CONELISSON, PIETRADOLCE, PLANETA FEUDO DI MEZZO, TENUTA DELLE TERRE NERE, TENUTE DI FESSINA, TERRAZZE DELL’ETNA, most of them we know personally, all of them by having tasted their wonderful prestigeous wines. During a meeting of the Soste diUlisse we got to know the country HOTEL DONNA CARMELA, a skilfully restored historic manor, located inside a mediterranean and sub-tropical nursery garden between Mt. Etna and the Ionian Sea, in CARRUBA DI RIPOSTO. The fine cuisine of their restaurant is managed by chef ANDREA MACCA. Whenever we find 2 days off during the summer months we personally try to allow us a brief escape to our favorite island SALINA and to the HOTEL SIGNUM, visiting our friends the Caruso family. MICHELE CARUSO, CLARA RAMETTA and their children LUCA CARUSO and MARTINA CARUSO who are the souls of the most enchanting place to stay we know on the Aeolian Islands. And we love the innovative and imaginative kitchen of the youngest Michelin starred female chef in Italy MARTINA CARUSO. On the occasion of another meeting we were happy to savor the sophisticated cuisine of GIOVANNI GUARNERI, which he offers at his restaurant DON CAMILLO, located in ORTIGIA, the beautiful historic center of SIRACUSA. Every year, after having closed the HOTEL VILLA SCHULER for the winter break, we do a works outing with our staff, a short 2 to 3 days journey through Sicily. We want them to get to enjoy their Island and to know the SOSTE DI ULISSE and that‘s why we plan our stays, winetastings and dinners at co-member hotels, wineries and restaurants. That’s how we for example stayed at PALAZZO FAILLA at MODICA, the romantic Hotel, situated in the charming Palazzo of the noble family Failla and managed by Paolo Failla. In Modica we also tasted the great creations of the ANTICA DOLCERIA BONAIUTO producing the best Sicilian chocolates, try their chilly-chocs! In RAGUSA IBLA, on one of our romantic tours as a couple, we stayed at the LOCANDA DON SERAFINO owned by the LA ROSA family and enjoyed very much the friendly service and the historic building partly located in caves, dug out of the tufa. In this occasion, travelling during the winter period, we missed the two member restaurants in Ragusa Ibla, the restaurant of LOCANDA DON SERAFINO with its chef VINCEZO CANDIANO, and the DUOMO of CICCCIO SULTANO, 2 Michelin stars, one of the most famous Sicilian chefs and the new president of Soste di Ulisse. On our next visit to Ragusa Ibla we’ll have to catch up on that. On another work outing with all our staff we devinely dined at the OSTERIA DEI VESPRI in PALERMO, managed by chef ALBERTO RIZZO and his brother ANDREA. 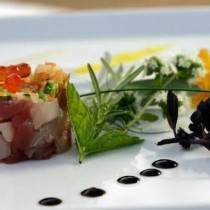 They have a very interesting concept, offering “Gourmet” kitchen from April 1 to October 31, and “Old Osteria” style from November 1 to March 31. Whenever we get in the Cefalù area we love to stop at the charming mountain village CASTELBUONO at the restaurant NAGALARRUNI. Chef GIUSEPPE CAROLLO offers a wonderful and affectionately perpared local cuisine, sometimes with mushrooms from the surrounding mountains, which he collects himself…just overwhelming! Another great experience was our last year’s work outing, which we spent at LA FORESTERIA PLANETA ESTATE, a luxurious country hotel and restaurant, located inmidst of the Planeta MENFI region wineries. Planeta is one of the most reknowed Sicilian wineries with wine-growing districts spread all over Sicily and offers this elegant retreat managed by faboulous CRISTINA GIONFRIDDO eriched by the exquisit and surprising cuisine of their chef ANGELO PUMILIA, who combines his Japanese experiences with Sicilian traditions. The members of SOSTE DI ULISSE are many more and we still have to discover some of them and will of course also return to those we already know!